(nee Chrostowski) Born Oct. 10, 1945. Passed away April 5, 2019, age 73 years. Shirley was the life-long partner and best friend to her husband, Robert J. French to whom she was married 55 plus years. She was the mother to two sons, Lee (who preceded her in death) and Robert. She was the sister of Lee Croston and Ted Herkowski and sister-in-law to Kathy Hagen, Kathryn Croston, and Richard French. She is further survived by 14 nieces and nephews, 25 great nieces and nephews, 7 great-great nieces and nephews, and many dear friends. Shirley was a long-time caregiver to her son, Lee and her mother, Bernice Herkowski. She was a volunteer sign language interpreter for the deaf community for over 20 years. Visitation at the Suminski Weiss Funeral Home, 1901 N. Farwell Ave. Milwaukee, WI 53202 on Thursday, April 11, 2019 from 5:00 PM until the time of the Vigil Service at 7:00 PM. Funeral Mass 11:00 AM Friday, April 12, 2019 at Three Holy Women Parish - St. Hedwig Church, 1702 N. Humboldt Ave. Milwaukee, WI 53202. 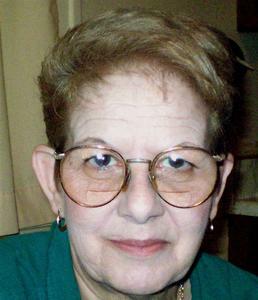 In lieu of flowers, memorials to NAMI or Wisconsin Association of the Deaf are appreciated.